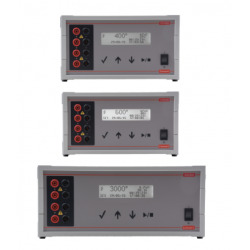 The mini horizontal unit is the smallest unit in the range, de- signed for low to medium numbers of samples. 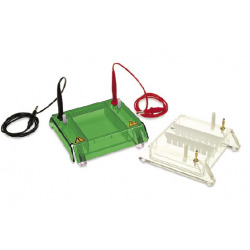 With gel tray options of 10x7 cm and 10x10 cm, the midi horizon- tal unit has been designed for routine horizontal gel electro- phoresis. The maxi horizontal unit is primarily de- signed for resolution of high numbers of samples such as from cloning or PCR. It al- lows ultra high-resolution separations over extended runs. 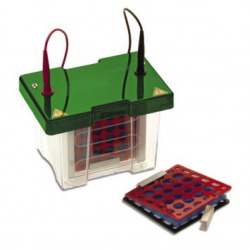 Designed for rapid screening of very large numbers of clonal or PCR samples, the maxi-plus horizontal unit has a 672 maximum sample capacity per gel. 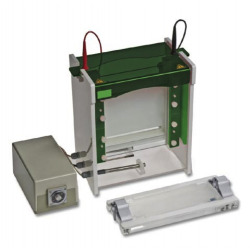 This allows loading and analysis of exactly seven 96 well format micro titre plates. 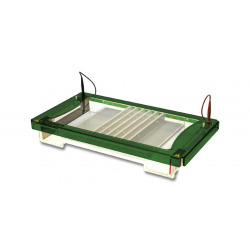 This cellulose acetate system is the ideal tank for both standard and wet cellulose acetate electrophoresis. 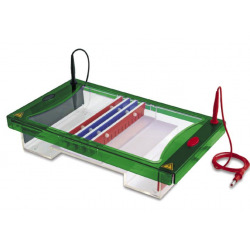 This unit is designed for both routine and research re- quirements and is built to our high quality standard. 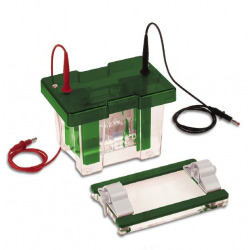 The preferred unit for routine mini protein electro- phoresis, the mini vertical unit is constructed using the latest injection moulding manufacturing tech- niques. 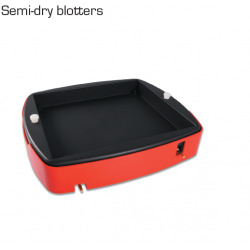 This gives a high quality, low cost product with unsurpassed finish, durability and strength. 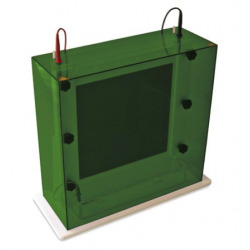 The mini-wide vertical unit with a gel width of 20 cm effectively allows double the number of sam- ples to be resolved as the mini unit. This allows consistency of sample comparison on a single gel and is designed for those with greater than 20 sam- ples to compare and resolve. 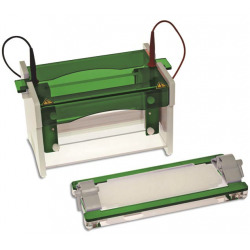 The new E4300 Maxi System is our latest product innovation for large-format vertical gel electrophoresis. 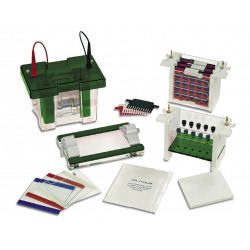 These stand-alone, complete units for electroblotting, mini, mini-wide and maxi formats, include vertical tank and lid, elec- troblotting insert, cassettes and fibre pads. 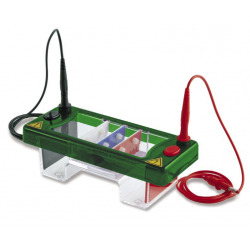 These systems include all modules and accessories required for slab sel electrophoresis, 2-D electrophoresis and electroblot- ting. 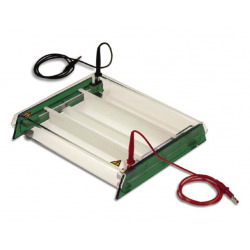 Ideal for a variety of large format vertical gel applications, this unit offers advanced features for enhancing gel resolution and ease of use, essential when handling gels of this size. 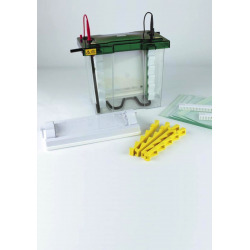 The E4400 denaturing gradient gel electrophoresis unit can run two 20x20 cm polyacrylamide gels for the detection of single base changes and polymor- phisms in cloned or amplified DNA fragments.